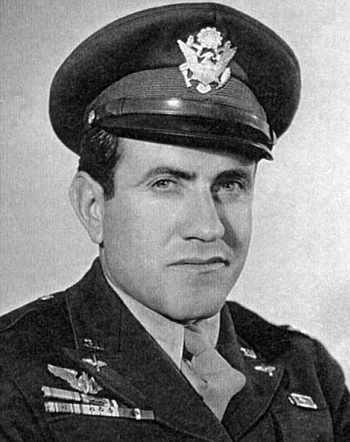 Louis Zamperini’s Army Air Force photo from 1943. Public domain image courtesy of the U.S. Army Air Force and Wikimedia Commons. I’ve often thought that determination in pursuit of a worthwhile goal is one of our finest qualities as human beings. That determination is what pushes Olympians to victory, what causes people to work their way through the courses needed to get a degree or what makes prisoners of war determined to hold out until rescue. Do we ever really know what Olympians and their families go through to get to that podium? Or what our military must endure in the course of doing their jobs? I was reminded of that kind of determination when I recently read Laura Hillenbrand’s magnificent book Unbroken: A World War II Story of Survival, Resilience and Redemption. If you’re not familiar with it or the movie, it is the biography of Louis Zamperini. Louis was an Olympic competitor and a WWII prisoner of war in Japan. He went through quite a lot in his lifetime: training for and competing in the Olympics, being shot down, and lying in a lifeboat for over a month while starving and fending off sharks. Not to mention getting strafed by Japanese bullets and being used as a propaganda tool. But all of this was only a prelude to something much, much worse: the torture Louis endured at the hands of a corporal and psychopath known as “The Bird.” The book describes some pretty horrific tortures that Louis endured (I’ll spare you those in this blog post). The book explains some of the Bird’s home life and background, so you understand what it was like to be in the Japanese military at the time. I like Laura Hillenbrand’s thoroughness in explaining both sides of this story. But what makes me admire Louis was his determination to keep going and last until he and his fellow POWs could be rescued. Louis had a family to get back to — his mother, brother, father and sisters. After the war, he endured flashbacks and PTSD. His marriage struggled for some time, but he eventually healed mentally and spiritually. Angelina Jolie had the good sense to make a movie about Louis so that his story, along with the book, will be preserved. One source I read said that Louis didn’t live to be able to watch the movie in a theater, but he was able to view some of the movie’s footage that Angelina brought to him. There’s a picture of the elderly Louis with Angelina resting her head against his shoulder. Her eyes are closed and she’s smiling slightly. You can see the affection between them. It turns out that Louis and Angelina even lived close to one another. All of the actors went to Louis to consult him about their characters and even the movie’s composer went to visit him. We’ll never know all of what happens to Olympians and heroes like Louis Zamperini. But it is their examples that can inspire us to do better in our own lives.